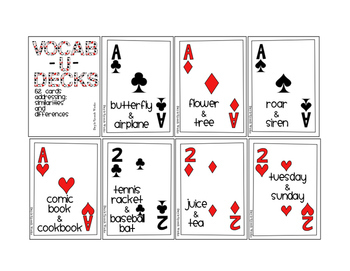 These decks can be used while playing any traditional card game. 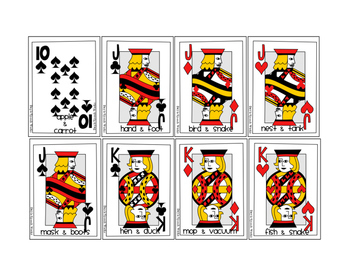 Print the deck and if possible laminate cards for durability. Have students state two independent clauses describing a similarity and difference for each word pair. 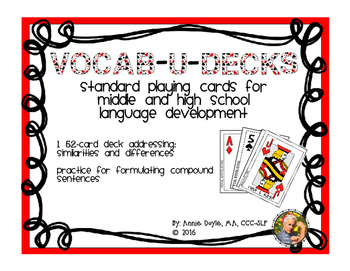 Sentences can be verbal or written. Use the compound sentence graphic organizer to combine the independent clauses into a compound sentence, if writing the sentences. **Printing suggestion: Be sure to select “scale to fit paper” in the print dialogue box. 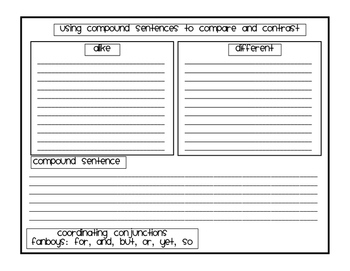 1 graphic organizer for formulating compound sentences.